SW Florida sure dodged a bullet with Tropical Storm Isaac. A few people actually seemed kind of let down the storm was a dud for our area. Not us, we’re glad the storm sideswiped us so we can get back to business. When things are going well you don’t need a timeout. Have you ever watched a sportscast and noticed it’s usually the team that’s struggling that calls a timeout? A timeout gives them a chance to regroup, catch their breath, re-energize, formulate a new strategy, or think of something different to change their plot. SW Florida needs no timeout right now. In fact, I think we can handle some more. We’re firing on all cylinders and actually could use more listings. Sales would be higher if we had more inventory to sell. The proof is in the pudding, so let’s take a look at the numbers. 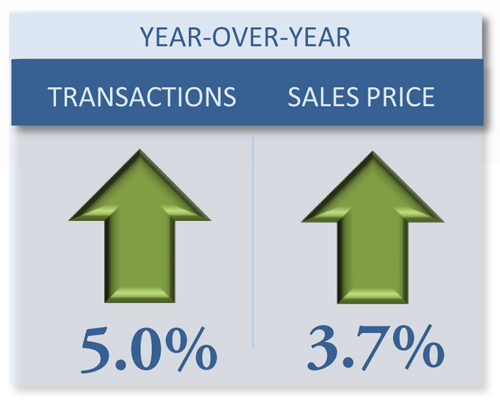 Traditional sales rose 6% in the 2nd qtr of 2012. 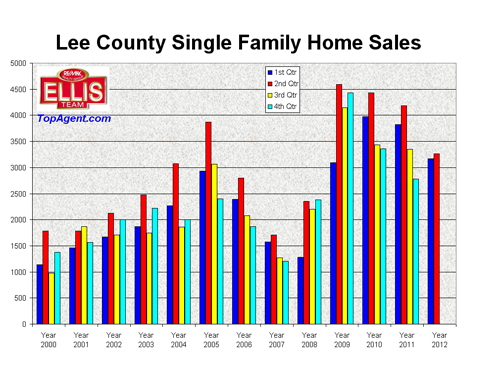 Remember not too long ago distressed sales accounted for 71.86% of all single family home sales in Lee County in 2009. In Lehigh Acres it was worse at 88.5%. Fast forward to today and we have a much different picture. In fact, traditional sales were not only up in percentage, they were also up in actual units rising from 1,896 the 1st qtr to 2,188 this past qtr. Short sales declined from 20% down to 17% as the actual units dropped from 647 the 1st qtr to 566 this past qtr. Bringing up the rear was foreclosures which were 20% 1st qtr and 17% 2nd qtr. Actual units were 628 foreclosure sales 1st qtr and 560 the 2nd qtr. This wasn’t a case of all three types of properties falling and only the percentages changed. 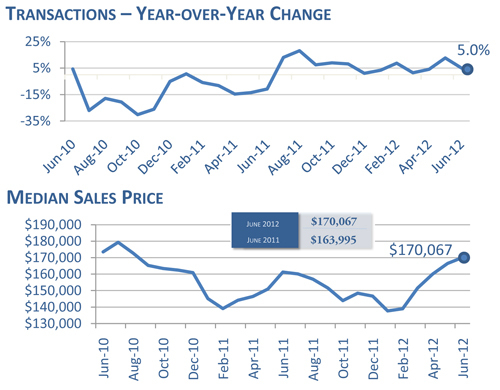 There was an increase in traditional sales and a decrease in distressed sales, all indicative of a recovering market. Some wonder if the market’s as good as we say it is, why haven’t prices gone back up to 2006 levels and the answer is those were artificial numbers and were not sustainable There were voices speaking back in 2005 that the market was in trouble but few would listen. The economy didn’t support those levels then and they sure won’t support them now. The economy has worsened since then and until we see a rise in jobs, income, and savings we won’t see whopping price increases. However, most agree our market is undervalued while it is steadily progressing in price. Our market is ready to take off once economic conditions improve. In the meantime, we’ll take the slow and steady gains of the past year or more. Our nation and economy is at a crossroads, and the outcome should arrive fairly soon with the election in November. The politicians have not been straight with us because they’re afraid we’ll fire them. The truth is we spend more each year on entitlements than we bring in, so it wouldn’t matter if we cut the entire budget, there isn’t enough to pay our bills. We either need to grow revenue to the government or cut entitlements, or perhaps both. The big argument will be how to cut entitlements, and how to grow revenue. Obama says raise taxes on the rich. Others say cut taxes on the rich and revenue will grow like they did under Reagan. Taxes are just half of the equation and it’s a losing proposition if you don’t also look at entitlements. It’s a conversation America needs to have, not one which we want to have. Entitlements eat up the entire revenue, and yet Bush increased them with prescription drugs and Obama did with health care. If we can’t afford what we have, why are we adding to the debt? Greece had austerity measures forced upon them by their creditors and they didn’t like that. We won’t either. Right now we have choices. In a few years we won’t. America was founded upon us choosing our destiny. I’d hate to see the world tell us in a few years how we should govern ourselves, but if we can’t do it, assuredly someone will soon. 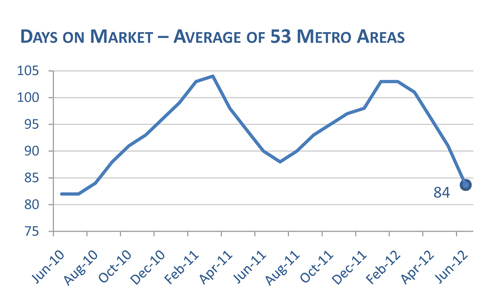 As we said earlier, our local real estate market will ultimately be dictated by jobs and the economy. Jobs and the economy might very well be dictated this coming election, so our crystal ball should be arriving sometime in November. Stay tuned, and Happy House Hunting! Well, it’s that time of year again and the tropical season is heating up. Because we have an impending storm approaching we decided to do a video on Hurricane tips for agents and the public alike. We hope these tips will help you prepare for this storm or any others that may come our way. Remember last week’s article where we talked about the housing numbers becoming more reliable? This week is a perfect example and I think you’ll see the changes this month. Last month official numbers reported 3,579 active single family home listings which equated to a 3.1 month supply of inventory. This month the Board of Realtors is reporting 4,838 active single family home listings and a 4.3 month supply of inventory. We think the latter number is most accurate now that they’ve reclassified the definition of an active listing. The market hasn’t changed much in that regard, just the way we report numbers. Prices rose again to a median price of $129,900. In July the price dropped from June and we said not to worry, that was more a function of less inventory and not indicative of demand. Demand is still strong and what’s selling in a given month is highly dependant on what new inventory comes to the market. In the past few weeks we’ve brought several homes to the market and we’ve priced them above past sales in the area because prices have been rising. You can’t do this in a declining market but we definitely do not have a declining market in many areas. We’ve seen multiple offers on many of our new listings as the market is responding. There is much competition from buyers for new listings that hit the market, especially if they are non-distressed and available to sell now. Appraisers are starting to take note of the changes in the market and we could see the “Declining Market” tag come off SW Florida which would ease up some lending standards. This would be a most welcome change for buyers, sellers, agents, and loan officers alike. Add to this a report that shows foreigners are flocking to buy property in Florida and the future could be bright going forward for Florida home sales. Florida led all other states with 26% of residential real estate sales going to foreigners, with California next at 11%. People around the world have figured out that Florida was on sale but has now stabilized and on it’s way up. Canada was the largest country buying property in the US at 25% followed by China at 11% and Mexico at 8%. America is still a safe bet considering the European debt crisis and our low prices, combined with a low value of the dollar right now. Foreigner’s have multiple ways to make money (real estate appreciation & currency) and hedge their risk. We’ll continue to monitor the market and report what we find. Good luck and Happy House Hunting! Last week the News Press ran a story about the rebounding housing market and they used inventory stats that said the single family inventory is down to 13,897 in Lee County, down from 14,113 the month prior. The only problem is, they were looking at the chart wrong as those were cumulative inventory numbers, not current. It was an easy enough mistake if you don’t study those numbers on a regular basis. The chart should have quoted 3,579 single family homes on the market, but even that number isn’t the best number, and we’ll explain why. I sit on the MLS stats committee and for the last year or so we’ve been working hard on cleaning up the data and defining how listings should be classified to best reflect what’s actually happening in the market. Look for inventory levels to increase because of this change. In the past inventory numbers only reflected Active listings that were not Active Contingent Short Sale. In other words, agents were still taking offers to present to the bank or as backups until the banks accepted a short sale offer but it wasn’t being counted. At the point a bank accepts a short sale offer the property was to be placed pending, like a normal sale would be. A high degree of pending sales actually close, but the same cannot always be said for Active Contingent sales, especially short sales. Another reasons aside from being a short sale a property could be listed as Active Contingent would be if something else has to happen first, like a buyer selling another property before they can close. In this case a listing agent may mark the property Active Contingent and insert a Right of First Refusal clause and continue to market the property. To me, this property is still an active listing and should be counted in inventory. From now on it will. It’s easy to count and search for sold properties in MLS, but it’s much harder to go back and search for active listings from the past on a certain date unless you have frozen copies of the database. Because of this, the Board of Realtors cannot post what the active listings would have been under the new guidelines since they weren’t searched that way at the time. Some on the committee pondered whether it would be easier to just keep the status quo since we didn’t have that data. Most of us preferred to rectify and make the most accurate possible, even if it meant postponing the revisions to past inventory levels until we have a new baseline to present. Everyone on the committee concurred once the tough decision was made to make it right, even if it would cause some heartache and confusion for a few months. Personally I’d rather take the tough steps now to get the most accurate statistics to agents and the general public, and the committee and the Board agreed. I feel much more confident going forward with the data that will be provided. All the definitions will be posted and any agent should be able to duplicate the data, something that wasn’t possible in the past. This will provide for full transparency and credible data, and should eliminate various sources from having differing standards and definitions. While mistakes in the newspaper or anywhere else will always be possible, hopefully we’ve made some changes that will eliminate systemic errors. We still have the issue of various boards reporting separate data which can cause duplication in areas served by two nearby MLS’s, we can account for this within a consistent statistical deviation. It really depends on whether the press is quoting one board or multiple boards as the source for their data, as some listing may appear in one board and not the other, and some appear in both. I feel very confident in the new definitions presented by the Florida Gulf Coast MLS which will begin to take affect soon. In the meantime, we’ll continue to report the stats and inform you where we believe the numbers will change. Inventory numbers are low but will increase under the new guidelines. We’ll talk about some of the new formulas in future articles that better reflect the SW Florida real estate market. 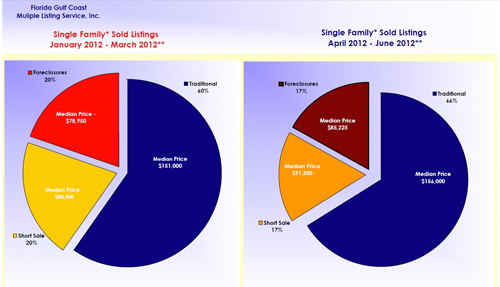 Historically summer is the best selling season for single family homes in SW Florida. This is defined by the number of sales that occur in the summer months. Lately we’ve seen a decline in the overall sales numbers, and this is directly attributable to the recovering real estate market and the lack of foreclosed properties on the market. Of particular note from the official sales numbers that were just released shows a decline in median sales prices down to $127,000 from $132,000 the month prior. The $127,000 price was still 8.45% higher than last year’s number. 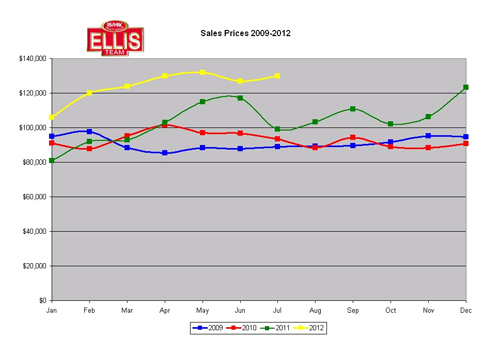 If you look at the last 4 years of sales prices you’ll notice a gradual trend for decreasing prices starting about May or June. It will be interesting to watch what happens with next month’s report. In each case however numbers either flattened out or rebounded nicely by the end of the year. 2012 is also an election year, and typically in election years people hold off a bit until there is more certainty in the business climate. This year’s presidential election is far from certain. We doubt the election will hold many people back this year simply for the fact that this year is different in that we have a limited supply of homes on the market. We also think that the median price is being dictated by the supply, not the demand. The demand has been pretty steady. You can’t buy a $50,000 foreclosure if it doesn’t exist, just as you can’t buy a beachfront home for $500,000 if it doesn’t exist. The supply has changed so much over the past few years buyers have been stuck buying what little they can. Supply has affected the quantity of sales and also the price. We are expecting to see some more foreclosures come to the market as they work their way through the legal system, and the market has proven time and again its appetite is more than healthy. Interest rates are at historical lows so purchasing power for the buyer has never been greater. Buyers are chomping at the bit to buy anything nice in their price range. As we go to the higher price ranges there is more selection, so sellers cannot overprice. Banks are just about ready to lift the declining market tag on our market which will help with lending. We almost met the standard last month but a rise in foreclosures coupled with a decline in price spoiled the fun, but if we would happen to get a nice rise next month it might be enough to lift that tag. If you’ve got a house to sell now may be a good time to look at the market in certain price ranges. If you’re looking to buy a home, you really can’t afford to miss these interest rates. We don’t know how long they’ll last. All we can do is enjoy them while they do. If rates were to double they’d still be ok, but not great. It would knock many buyers out of the market though and drop the price of the home they could afford. I guess what we’re saying is if rates go up significantly, a buyer will be able to afford a much less desirable home than today. This will affect a buyer significantly. It will also affect sellers, because as rates rise, the buyer pool shrinks like a Shrinky Dink. In the meantime, we’ll keep an eye on the market with particular attention to upcoming distressed sales, inventory levels, and of course how the Presidential candidates might affect taxation and the overall economy.